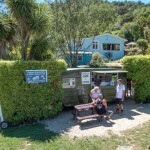 Travel by Water Taxi, car, off queen Charlotte Track to Marlborough Sounds accommodation. 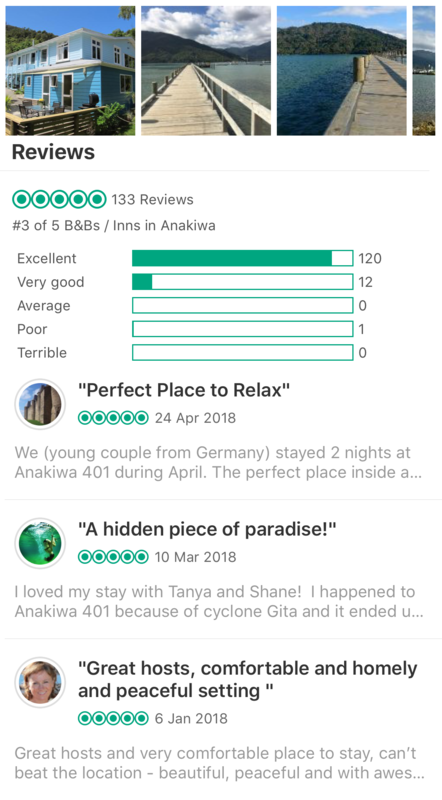 Anakiwa 401 is the closest accommodation in the bay to the start/end of the Queen Charlotte Track, the Anakiwa Outward Bound jetty and the beach – you just can’t beat it! Here is how you can reach us. By road — take the Queen Charlotte Scenic Drive, just a 35 minute drive (25km). By mail man — scheduled transport between Picton-Anakiwa-Havelock. Enjoy the scenic drive with local postman Dennis whilst he delivers the mail or newspapers to the local community. Phone 03 578 1926 or 022 187 7532. 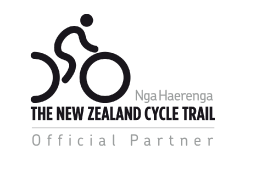 Take the Queen Charlotte Drive for 20kms (approx. 20 mins). You have two choices from Blenheim – State Highway 1 via Picton or Highway 6 via Havelock, then along the Queen Charlotte Drive (total journey time is approx. 45 minutes). Take State Highway 6 to Havelock. Then via the Queen Charlotte Drive to Anakiwa (total journey time approx. 1.5 hours). Take one of the 2 ferries (Bluebridge or Interislander), an approx. 3 hour journey across the Cook Strait and through the picturesque Marlborough Sounds to Picton. We are located at the very end of the track (by the DOC sign!) and opposite the Anakiwa/Outward Bound Jetty. After completing the Track, stay with us overnight in Anakiwa. Make your last night on the Track with us in Anakiwa – there’ll be no need for you to rush your last day on the Track to catch the water taxi. 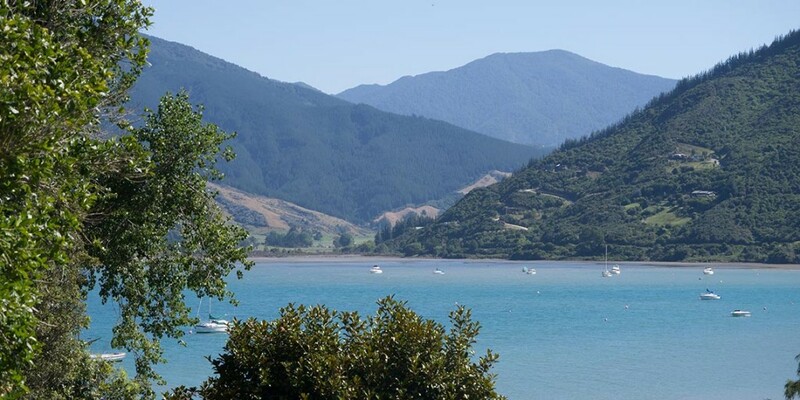 Instead, on arrival here, you can sit and rest or take advantage of the activities on offer at the southern end of the Marlborough’s Queen Charlotte Sound. 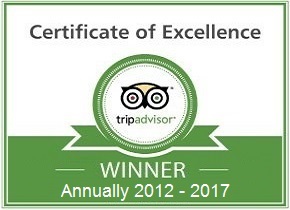 Return to Picton in the following days, relaxed and refreshed and ready to continue with your holiday through New Zealand. Anakiwa 401 is mid-way along this scenic road between Picton and Havelock. It is one of New Zealand's most picturesque drives, winding around bush-fringed coastline, past sheltered inlets and bays. If you require transfers from Picton, Havelock or Blenheim, let us know and we'd be happy to help arrange these for you. Anakiwa 401 is next to the Outward Bound School. Outward Bound is New Zealand's leading organisation for showing people their full potential through outdoor challenge and adventure. Established in 1962, OB operates from its original location in Anakiwa and is regarded as the most perfectly situated Outward Bound school in the world.